Should Seaside Park spend taxpayer dollars on dunes that may soon be rebuilt in a beach replenishment project? As a planned U.S. Army Corps of Engineers dune-building project continues to suffer delays, residents of numerous local communities have voiced a desire to have their towns be proactive in maintaining the current dunes. The federally funded project administered by the Army Corps will call for 22 foot, vegetated dunes to be built island-wide with at least 200 feet of beach berm in front of them. 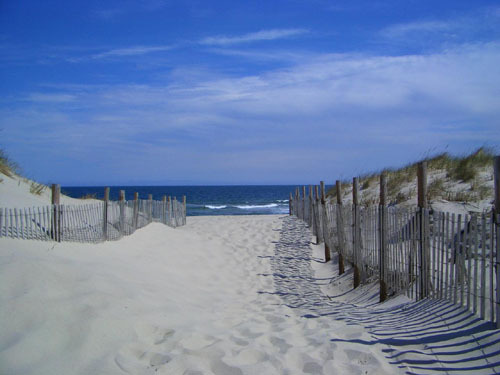 Since the federal project calls for unique specifications, dunes that already exist in some towns will be modified so they can be engineered to work within the best practices favored by the Army Corps. “It’s got to be a multi-year plan, because the Army Corps dunes may not be built in this decade,” said Hopkins. Seaside Park Mayor Robert W. Matthies said the borough, in its latest communications with the state Department of Environmental Protection, has been told that the project will likely go out to bid in August and begin late this year or early in 2017. Numerous other local officials, including the mayors of Brick and Lavallette, have referenced the same timeframe. Hopkins, however, said in the mean time, there are 17 beach entrances and 54 low spots where water could break through during a storm. Such low spots are a significant issue addressed in the Army Corps project, which calls for angled dune crossovers so there is no opportunity to sea water to funnel through beach entrances. “Before the next big storm hits us, I’d like to see our dunes in much better shape,” Hopkins said.